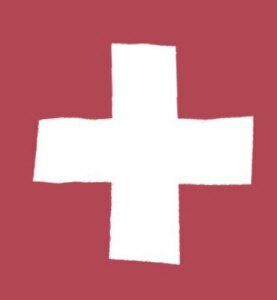 [page x] If one attempts to apply the conclusions of a particular philosophical analysis to the analysis itself, one must eventually face the fact that the system does not have any application beyond itself. One finds oneself trapped within circles of thought. To illustrate, let us take the analysis in this book. I shall examine the structure of experience in terms of certain brain processes that form the necessary conditions for experience. But "brain processes" are themselves concepts derived from experiences of scientists — obtained by observing various mechanical, electronic, optical, or chemical measuring instruments. 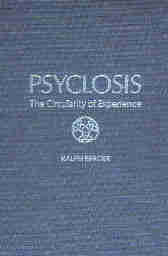 The theme of psyclosis is the "circularity of experience," as the subtitle indicates. We are the measurer and the thing measured, the ouroboros eating our own tail. Every where we look we are confronted with paradox. [page 2] Clearly, our definition of life changes with the current state of biological knowledge and level of technological development. But it should be emphasized that the technical instruments used in scientific experiments to develop physical explanations of organismic behavior are artificial products of human actions that themselves require physical explanations. Thus we find ourselves caught within the circle of our investigations — a situation we shall repeatedly encounter through this analysis. What Berger does when confronted with a choice between the objectivity of instruments and the subjectivity of the scientists who read them is to try to transcend the two by uniting them. This distinguishes him from the approach of Arthur Eddington in his classical book, The Nature of the Physical World, in 1928. [page 16] Unlike Eddington, I do not intend to leap from the "objectivity" of the physical world to the "subjectivity" of the mental world when analyzing the concepts of time and entropy. Instead, I shall try to unite the two worlds through a consideration of brain processes. Entropy is a difficult concept to understand. As Joey says when asked if he understands entropy, "Nah — it's too disorganized." "Entropy increases with time" states the Second Law of Thermodynamics. It describes the inevitable flow of the material universe from order to disorder. Leave something alone enough and it will eventually decay into an amorphous mass, whether it's a bird house, a huge mansion, or the mighty Alps — they all fall down. Everything runs down with the same inevitability that a river runs down to the sea. Entropy is a measure of disorder, so when things run down, entropy increases. Given a material world in which the governing principle is that entropy increases as things run down stream, how is it that life manages, like the spawning salmon, to make progress against this downward stream? Berger admits that it is a mystery. [page 19, 20] It is only when we focus exclusively on life on earth that we see a backward eddy in the system of increasing entropy in physical evolution. But why life appears to flow against a physical current of events is incomprehensible. That incomprehensible backward eddy we call life cannot be understood by looking at living beings as if they consisted merely of products of the physical world. There must agents that push to create the backward eddy, and these agents must come from outside the system. The physical world is like a computer which is having some new software loaded in it. This software is coming from some human being that exists outside of the milieu of the computer. The physical world that we inhabit and are an integral part of in so many ways is like that computer. Without software loaded from without, the computer is nothing but a space heater. Once a human being programs some software and loads it into the computer, overcomes the bootstrap paradox, the computer arises into useful action — it becomes a small backward eddy in the downward flow, the rundown of the universe. The question, as I see it, is what has the relationship to us humans that we have to the computer? Are we humans not smarter than the computers we helped assemble and bootstrap into operation? What then is smarter than we humans are and that helped assemble and bootstrap us into operation as human beings? As a physicist, I would not expect that answer to come from a physics textbook. Berger argues that the goal of the biological organism is to "increase the dwell time of solar energy in the body" and thus any behaviors which help a body to stay alive moves us to that goal. Our body is full of cycles that interact with one another: the blood cycle, the kidney cycle, the lung cycle, the spleen cycle, etc. In the presence of so many interacting cycles how is it possible that the human organism runs smoothly? Cannon in 1932 called our body's ability to run smoothly, homeostasis. He did not mean it to refer to some static condition of the body, but rather to "the coordinated physiological processes which maintain most of the steady states in the organism. . . A condition which may vary, but which is relatively constant." The next argument Berger uses involves the nervous system. I perceive a similarity to what he proposes the human body is doing to what has happened within computers: the smallest and least energy consuming parts of computers, the CPUs (Central Processing Units), tend to increase to the highest complexity. [page 22] Given that the central nervous system consumes relatively little energy compared with the rest of the body, one can understand the selective pressure in evolution for increased complexity of the nervous system. The complexity of control of behavior by the central nervous system is adaptive in acquiring or conserving more energy than would be spent by a less complex system incapable of generating equivalent behavior. At this point Berger goes into a long discussion of Skinnerian ideas such as habituation and extinction. In the next paragraph I catch a glimpse of a description of the "etiology of depression" in human beings. Read it and see if you agree. Read "remaining motionless" in human beings as "being depressed" and that is often the most prominent outer sign of depression. If a human perceives that any behavior results in a decline of homeostasis, the normal option will be to do nothing. This would explain, e. g., why an elderly patient in a nursing home, whose television is taken from her because she complains too much, might become depressed. [page 37, 38] Unconditioned reflexes always reappear no matter how often they are habituated, whereas learned behaviors can be completely eliminated with training. The total disappearance of learned behavior can be accounted for by its being superseded by new behaviors that prove to be more effective in reversing or arresting declines from homeostasis. During experimental extinction of a previously learned behavior the energy expended in the now ineffective behavior increases the rate of decline in homeostasis, so that during the training the animal may learn to remain motionless or may even fall asleep if no other behavior proves to be more adaptive in retarding the decline from homeostasis. Thus, extinction of a learned behavior represents the emergent prepotency of another behavior or nonbehavior (i. e., remaining motionless). [page 81] At least in animals other than primates, once all feature detectors have been activated, and phylogenetic reinforcement has taken place, play ceases. [page 81, 82] Humans represent the greatest exception to this rule [Rule in page 81 quote above] and never cease to play until they die. Pet animals also continue to play in adult life, but domestication is the critical factor -- they are subject to the influence of man's own playfulness. The wisdom of Homo sapiens is achieved through extension of play throughout his life. The lengthening of infancy allows the learning of more and more complex behavior and reaches a maximum in humans, who never "grow up" in the sense that play never ceases, since ontogenetic reinforcement never terminates. The "child is the father of the man" by virtue of inherited feature detectors, whose potential activities are only rarely totally realized in an individual lifetime. In the margins of pages 104 and 105 I wrote this thought twister in the Chapter called Differentiation. Something in that chapter activated the feature detector that allows me to distinguish verbs from nouns and the process of verbing from the process of nouning. Note that the word verb is a noun when it refers a word such as move which is a verb, but the word verb can be used as a verb in the sentence "Yes, we can verb a noun." To verb a noun and noun a verb. and when I noun a verb I verb the noun noun. and when I noun a noun I verb the noun noun and noun the noun noun. As we move into the chapter on Communication, we encounter another example of the circularity that infuses Berger's thesis of psyclosis. As I read the following passage, he seemed to be talking of my thought twister above. [page 135] Since this is a written work employing language, it is impossible for me to step outside the domain of language and yet continue to communicate with you the reader. That is, it is impossible to talk about language without using language itself, and again we find ourselves trapped within a circle. In an analysis of language, language must chase its own tail. For a quick example of language chasing its tail, try this little exercise. Stop reading and take out a pen and paper and begin writing a journal. Start writing about what you were doing ten minutes in the past, and gradually work your way up to the present moment. What happens when you reach the present moment? You are left with a recursive sentence that goes something like this: ". . . I am describing what I'm doing which is describing what I'm doing which is describing what I'm doing which is . . ." Your writing collapses into a tight loop. Language chases it tail right in front of your eyes. [page 166, 167] Earlier, I described how the perception of space depends upon physical action. The experience of space depends as much upon the existence of patterns of efferent activity as it does upon patterns of afferent activity. A spatial world constructed purely of perceptual aspects of boundaries of brightness and color is inconceivable without these perceptual aspects being related to actions that can affect them. In particular, the alignment of 3-D spatial representation of our surrounding space requires that we be able to manipulate our surroundings (efferent activity) as the holographic cube thought experiment described in Chapter 10 of my dolphin novel, The Spizznet File, clearly illustrates. If you want a quick demonstration of why you must be able to manipulate your environment to see, open both eyes, place a finger under your right eye so that you see two different images of the world. Which image is correct? The left, because you have displaced the right. But if you didn't know which was correct, you would have to manipulate the world in some way to determine which was correct, wouldn't you? You'd have to grab for the two images of the coffee mug with each eye closed in turn and determine which image had a mug lined up with it. That's efferent activity - manipulating your environment. It is an essential component of seeing. There is much more in Ralph Berger book that is worthy of study, and study is the operational word. I read this book back in 1985 and that year marked a period in which my psyclosis closed in upon itself and I began to suspect that science had collapsed itself into a tight loop and any further understanding of human beings required a study that transcended the physical world. Berger didn't quite make it that far himself in this book, but the world isn't finished with him yet. The same may be said for you and me. Me as I write these words, and you as you read them. We live necessarily in different time-space coordinates. I can state that I'm writing these words on September 3, 2002 at 16:08 pm CDT, but I have no idea when you are reading them. The world is not finished working its afferent way into me and I'm not nearly finished with my efferent working on it. This is the dance of life. This is the play of life. Every second there's the possibility of a new feature detector being created, a new organ of our humanity being developed. Go ahead, dance and play a little.